Trying to write a live review when you're suffering from Post-Gig depression is forever a killer. Words and thoughts swirl around with no real direction and it's never easy getting them down on paper but alas, life must go on. 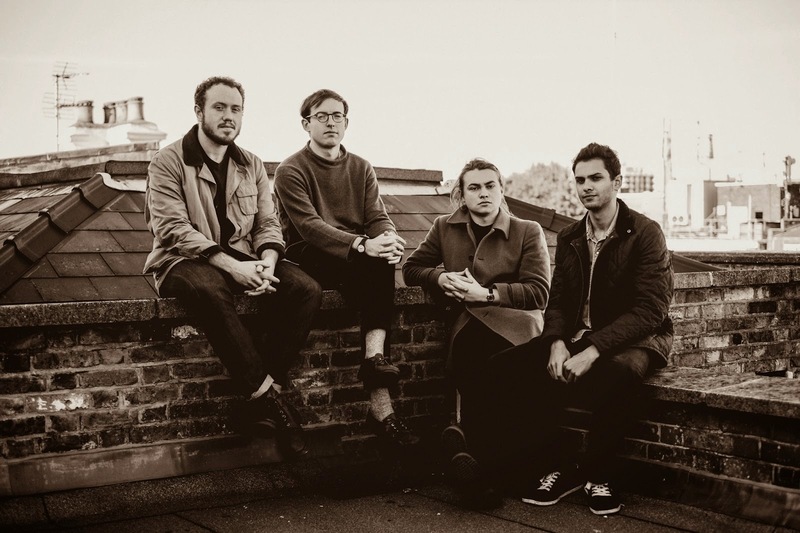 Transcending through the ranks with their debut I Had The Blues But I Shook Them Lose back in 2009 Bombay Bicycle Club have been on a steady rise to Indie stardom ever since in what's been a whirlwind 5 years for the band. Returning with their fourth album 'So Long, See You Tomorrow' back in February, which just so happened to reach number 1 in the the charts, the band followed up with a full UK tour, rolling in to Cardiff's Student Union on Sunday March 16th. 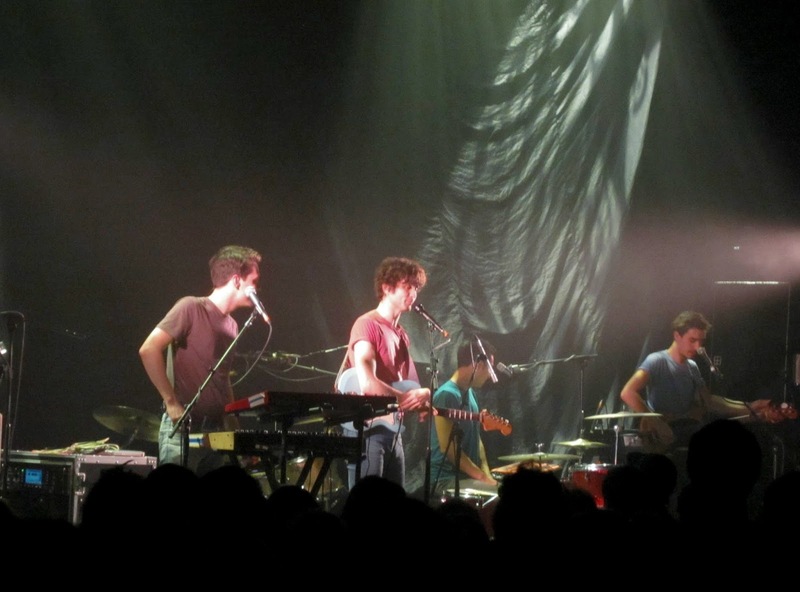 Fired up on burgers and armed with a rather unappealing warm Fosters beer I made my way to the Great Hall in time to catch Flyte take on the challenge of warming up the Welsh crowd. Having raved about the band for quite some time it was great to finally catch them live as they put on a promising display of Sun-Kissed Pop to a brilliant reception. I'd assume it's always a daunting task to be first up as support knowing everyone there is waiting to see someone else yet it doesn't seem to phase the London four-piece in the slightest as they delivered a fine mix of new tracks and songs from their 'Live' EP in the most effervescent of ways. It was great to see such a good turn out so early on in the night and with Flyte's toe tapping jangly rhythms tearing the place up through stylistic character it was their vocal harmonies sweeping from left to right that truly got heads turning. It most certainly won't be long before their selling out headline shows of their own! Back in 2011 it was Lucy Rose featuring on BBC's albums and in turn supporting the them on a number of dates yet this time round it's the fate of Rae Morris. Another blissfully beguiling female vocalist who is most certainly worthy of the hype surrounding her. Taking to the stage in a typically unassuming way the young songstress wasted no time in powering through a blisteringly endearing 30 minute set. Whilst maybe not the most energetic choice of acts to have on before Jack Steadman and co she managed to hold a distinct magnetism drawing the crowd deeper and deeper in to her lovable charm as her crystalline vocals pierced the low rumble of chit chat amongst the crowd. With plinky synth notes cascading over expansive percussion Morris sat perched behind her keyboard for the duration of her performance yet there didn't seem a need for any over the top stage enthusiasm when the music spoke volumes alone. 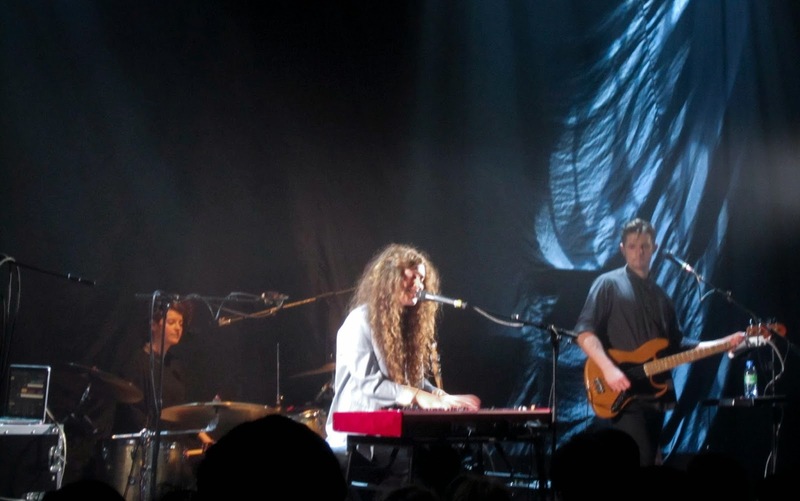 Hypnotising and soaring with ethereal beauty, each song met with rapturous applause, Rae Morris does an excellent job in preparation for the headline act. Looking to add alternative elements to their live performance Anna Ginsberg was on hand to provide stunning visual art that truly brought the whole evening to life through the ever changing backdrop. This went hand in hand with the additional brass section breathing further life in to already living masterpieces with Liz Lawrence providing exquisite backing vocals. Of course, Whenever Wherever got its dedication to Shakira whilst Luna done all kinds of crazy things to my mind as its heavenly breakdowns overwhelmed. With the album having only been released a month ago it was a sight to behold seeing the crowd scream the words back to each and every song in immaculate detail as if doing battle with Steadman. As the night moved on there was little crowd interaction between band and audience with hand clapping gestures aside, yet who needed any when a set list of this calibre brought its high octane drive to an all time vertex. Returning for a two track encore BBC weren't going to leave us empty handed as they hurtled at warp speed in to What If before bringing the evening to a climatic close with the pulsating tones of Carry Me. This is a band at their peak of evolution. What's next for them? Who knows, but one thing's for certain, they continue to remain the ever indulgent act that you could so happily go see again and again and again without ever becoming tired. 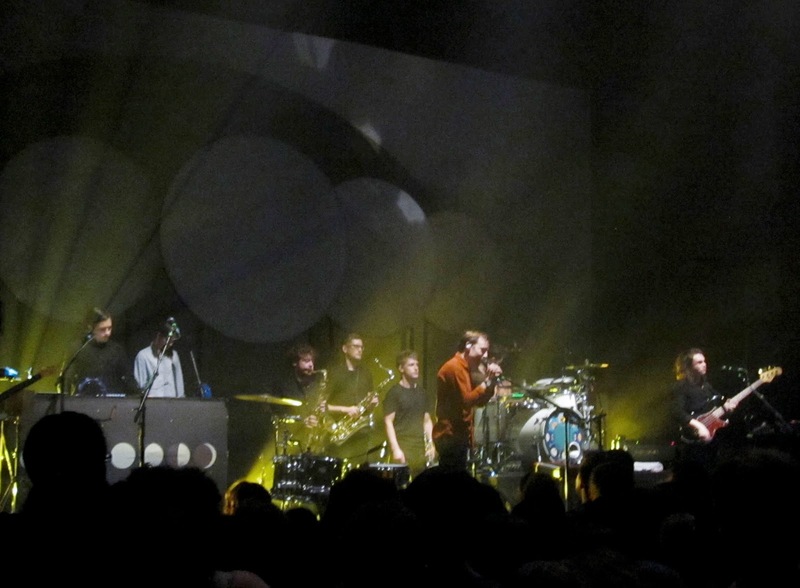 They round up their UK tour with a 2-date run at Manchester's Albert Hall on 20th/21st March.